"Christopher is knowledgeable, honest and straight forward. He cared for us as his clients. He gave confident explanations of our legal documents,..."
"Christopher Benson was a pleasure to work with. He assessed our needs, answered all of our questions about wills and trusts, and helped us..."
"Mr. Benson helped us set up an estate plan to meet our specific needs and showed us how to maintain it. We had some revisions we wanted to make..."
"I highly endorse Chris Benson. He is an excellent bankruptcy attorney. His services will exceed your expectations." "Chris and I became recently acquainted at a conference. Chris was very knowledgeable and show real dedication to helping his clients." What Makes Christopher A. Benson Uniquely Qualified To Represent you? Chris is married with 3 children. Chris was born in Texas, lived in Oklahoma and grew up in New Mexico. After graduating high school, Chris moved to Arizona and attended Arizona State University where he earned his bachelors degree. Chris then moved to Washington in 1988 to attend law school at the University of Puget Sound. Chris has doctorate degrees from both Puget Sound University and Seattle University. Chris has a diverse background in working with a wide variety of people. Chris served on the Board of Directors for Habitat for Humanity Seattle/S. King County for 10 years and served as Vice President of the organization during part of that time. Chris grew up playing competitive sports (football, basketball, baseball and track). He lives an active outdoor lifestyle with his family and truly enjoy living in the Northwest. During the summer, they love golfing, boating, fishing, crabbing and exploring the Puget Sound. During the winter, the family enjoys skiing. He enjoyed coaching the kids in baseball and basketball for 10 years while they were growing up. Chris coached basketball for Meeker Middle School as well and through Tacoma Parks and Recreation. A little known fact about Chris is that he grew up on a farm on the Navajo Indian Reservation in New Mexico. While living in New Mexico, Chris was trained to be a Master Silversmith and earned that recognition by the time he graduated from high school. Chris is a well versed craftsman in lapidary (stone cutting and polishing), ceramics, and leather work (crafting belts, tanning leather etc). His grandfather who lived nearby was a farmer and master carpenter; therefore, Chris spent a lot of time on a tractor, planting crops, pulling weeds, building (and sometimes breaking) stuff. Chris is a “car buff” who enjoys all things mechanical. He did a “frame off” restoration of a 1964 Chevy Step Side Pick where he took the truck completely apart (including the engine and transmission) rebuilt the entire vehicle and somehow got it all put back together with only a few left over parts. We are proud to have a caring and dedicated staff at our law firm. Give us a call and get to know more. Our website is filled with lots of useful information regarding bankruptcy, real estate, and estate planning. If you have questions, please do not hesitate to contact us via phone or email. 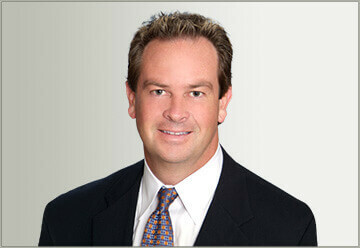 Christopher A. Benson has more than 25 years of experience serving the needs of his clients. Our office looks forward to the opportunity to serve your needs as well. Mykut Real Estate School- Instructor May, 1992-Present: Instruct Real Estate Law I & II Continuing Education Certification Classes for Real Estate Licensees, Brokers, and Appraisers. Home » Christopher A. Benson, Esq.